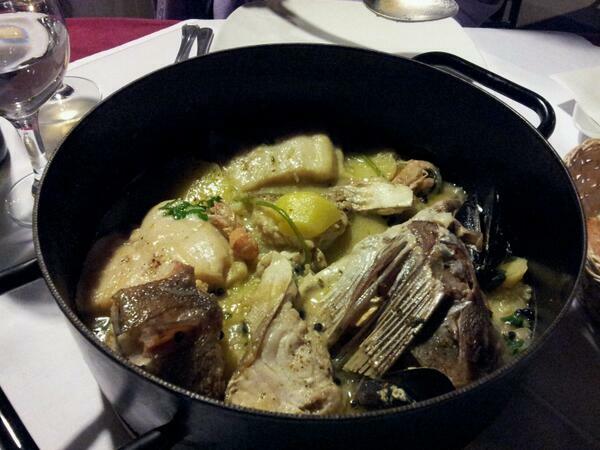 Gregada or fish stew is another great fishermen meal. 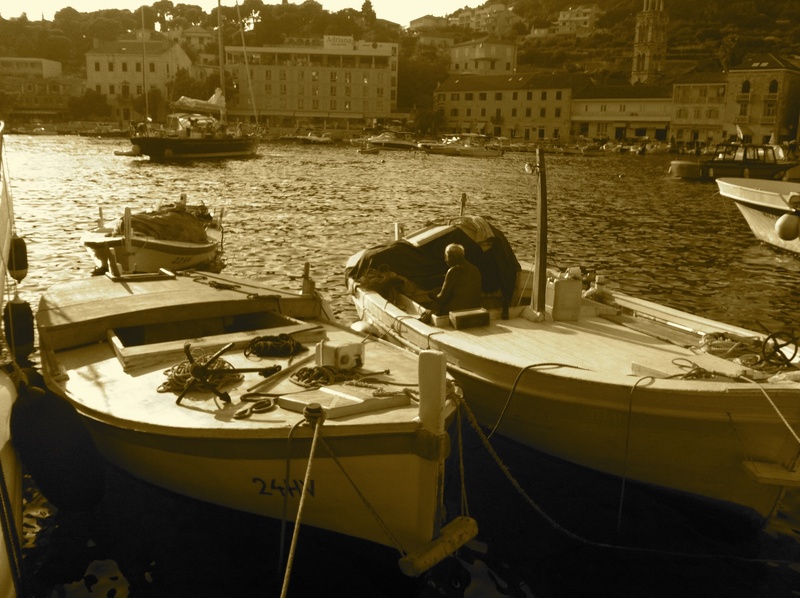 Since there are more than 1000 islands on the Dalmatian coast, Gregada represents the cuisine of Island Hvar. Very simple meal, a soup and the main meal in one. Secret of Gregada is in the holy trinity of ingredients: fish, onion and potatoes. There is another similar and great dish on the Dalmatian coast called “brujet” (brodetto), which is almost the same. The only diffrence is in Brujet you will have tomatoes, so the sauce will be more red, while Gregada’s sauce is almost white.. It might look strange but it tastes great! Cut the onion into strips. Fry in heated olive oil. When the onion is fried insert sliced ​​potatoes and season with salt. Add chopped fresh parsley, sliced ​​garlic. Stir and add the capers and chopped salted anchovies. Add white wine and cover the pan. After 10 minutes when potatoes become tender, add fish. Season with salt and pepper, add olive oil and water. Finally, add the bay leaf, a bit more of finely chopped fresh parsley, shake well and cover the pan. After 10 minutes of cooking, add shrimps, once again shake well. Gregada is never stirred, only shaken. 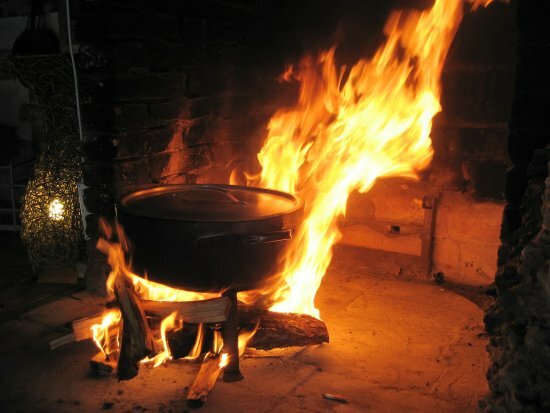 After 4-5 minutes the meal is finished. Serve it on the simplest way to put the pan in the middle of the table.